Our search for some best food in Ampang continues as I was craving for some nasi briyani. 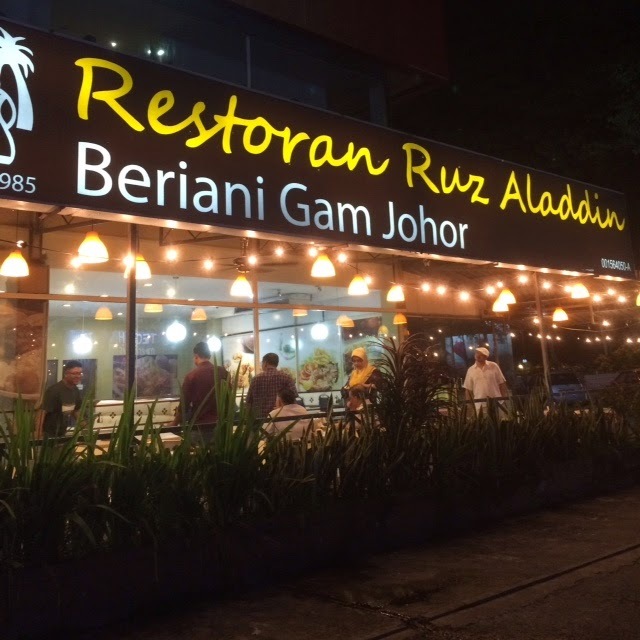 Restoran Ruz Aladdin in Ampang just happened to be around the corner. Located along the MRR2 and just before Flamingo Hotel, the restaurant serves a variety of Nasi Briyani including with kaki kambing (RM28), daging lembu (RM16) and like the one I had in the second pic, ayam merah (RM16). The rice was fragrant but I just wish the dish was served hot (especially since it was quite a wait). But the chicken dish is nice too, not too spicy. And since it's RM16 per plate, I'm glad they are generous in the serving. Oh, if your company is not a fan of nasi briyani, there's also chicken chop (RM19.90), Fish and Chips (RM19.90) and other western food.